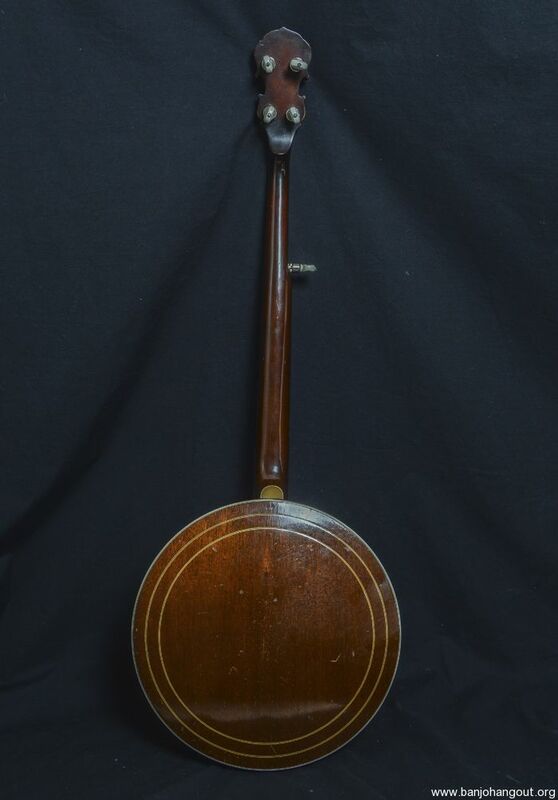 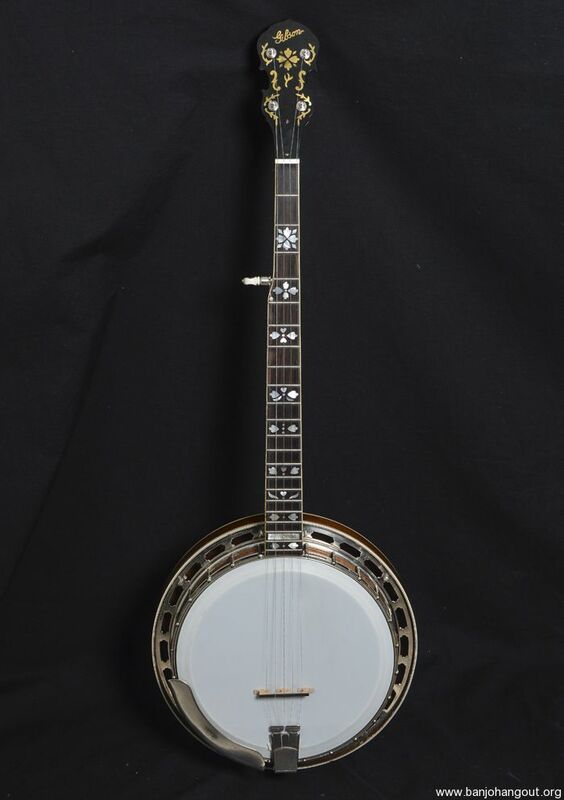 A very talented (unknown to us) builder has fashioned a fine custom made replica mahogany Style 4 neck with its hearts and flowers inlay pattern (most often seen in the hands of Earl Scruggs), and has placed the “Mastertone” block above the 21st fret as on the slightly later 1926 version. 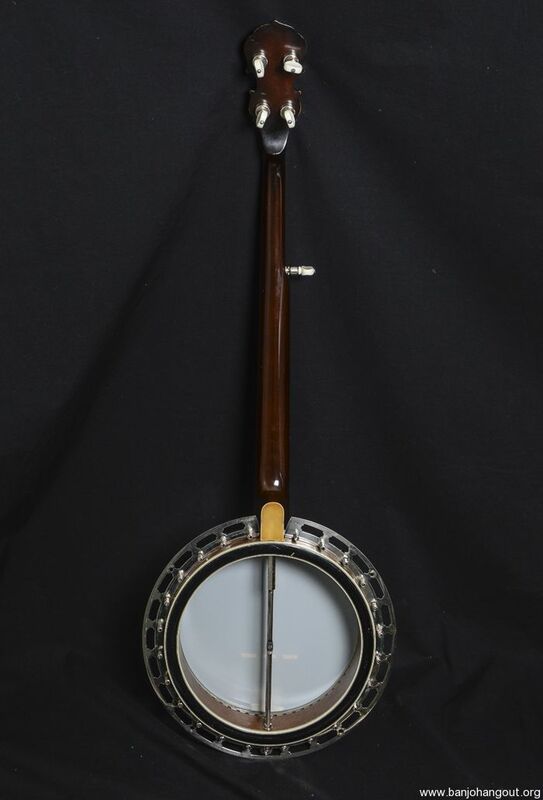 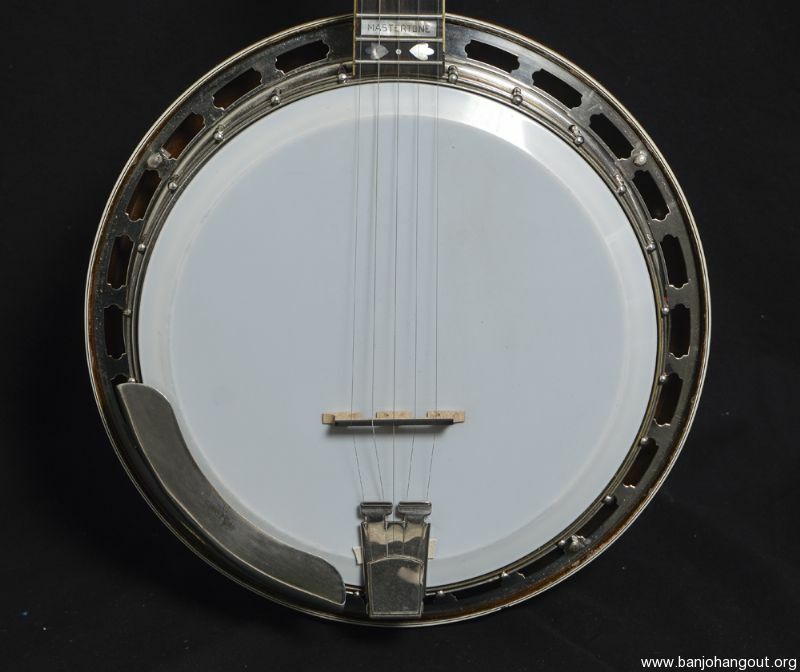 The neck matches the mahogany resonator with its double concentric rings, triple bound on both edges, as well as on the fingerboard. 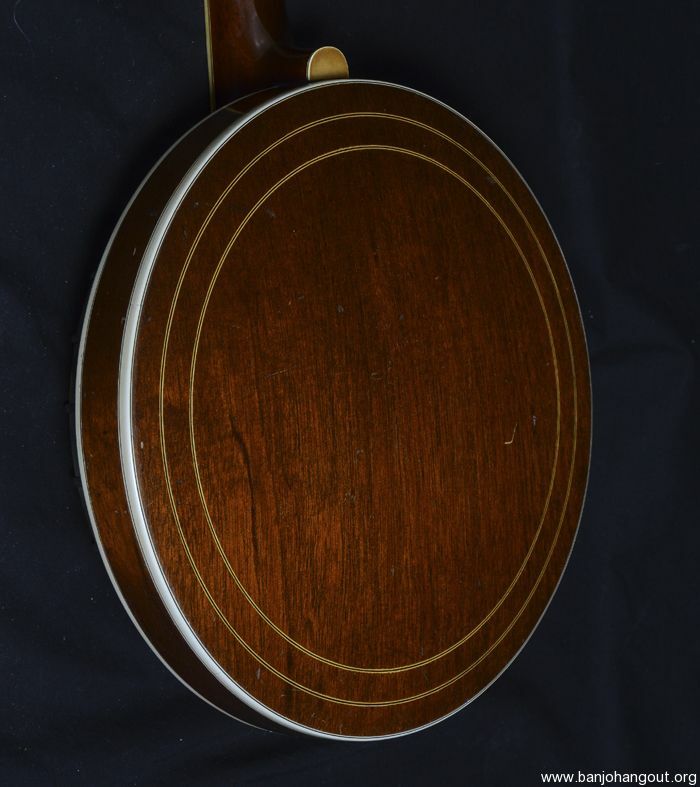 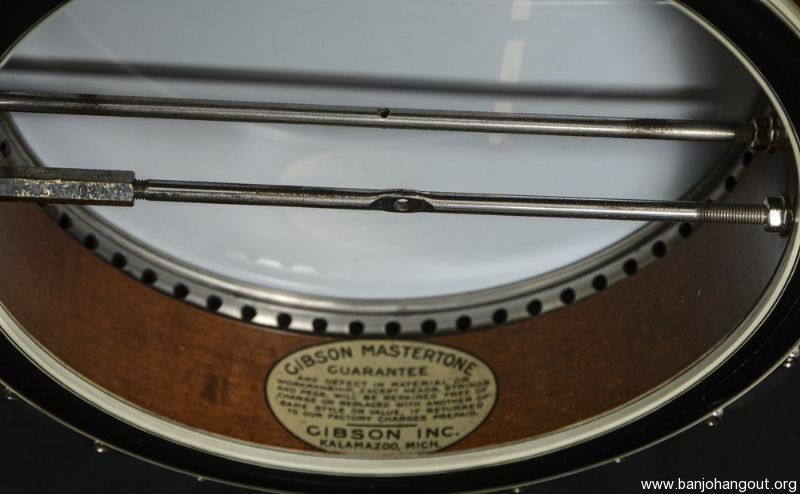 Another special appointment only found on the 1925 Style 4 are the attractive multiple bindings on both sides of the rim. 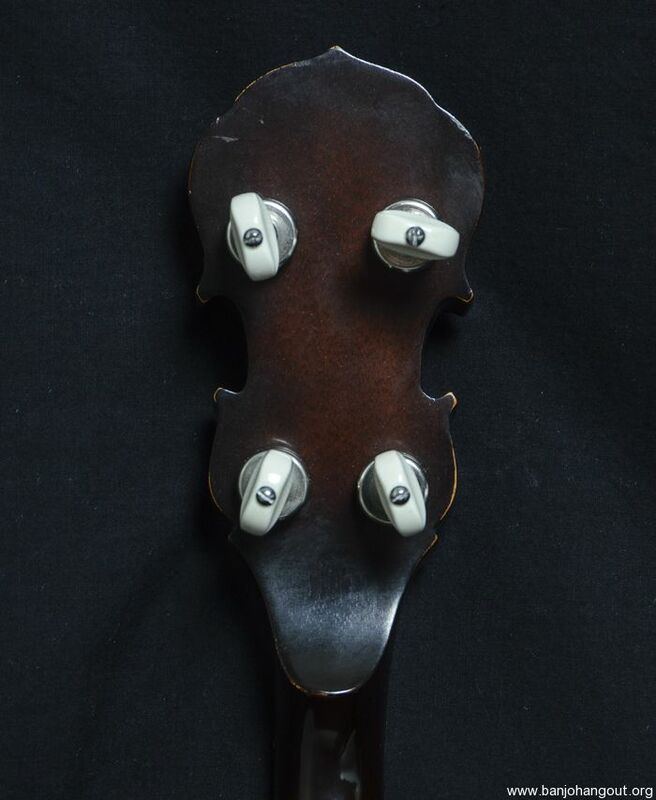 The tuning machines are new Waverly "4-band" style with a new Grover double-ringed Geared fifth peg. 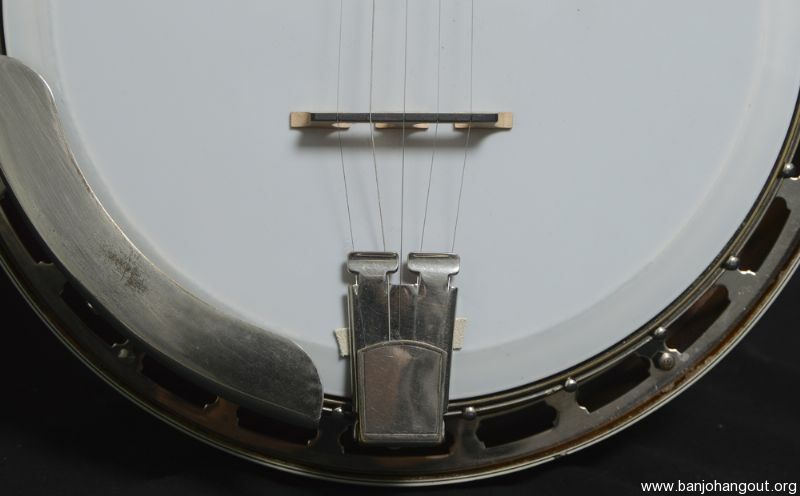 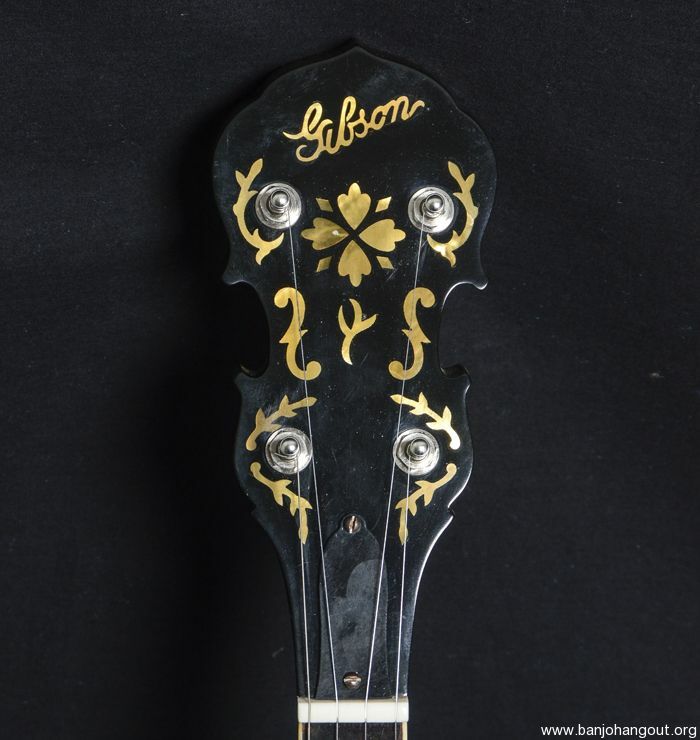 Also included is its original Presto tailpiece. 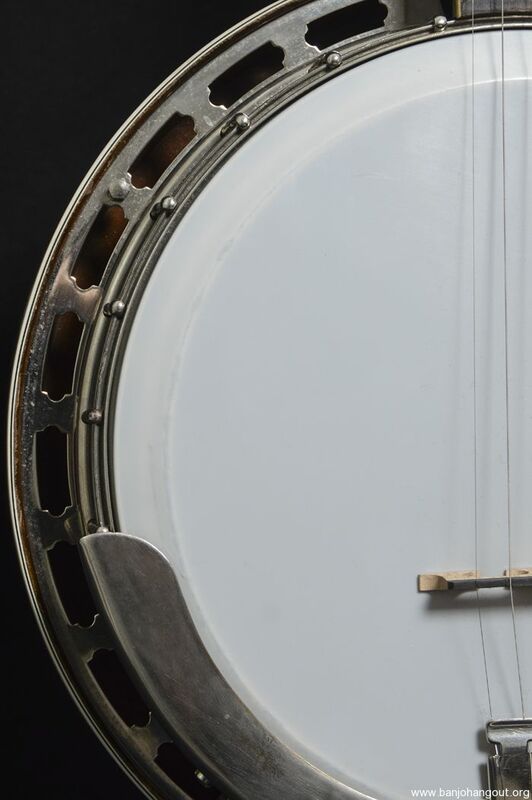 All other hardware is original.